It was hard to tell which was brighter, my son’s smile or the midday Florida sun. 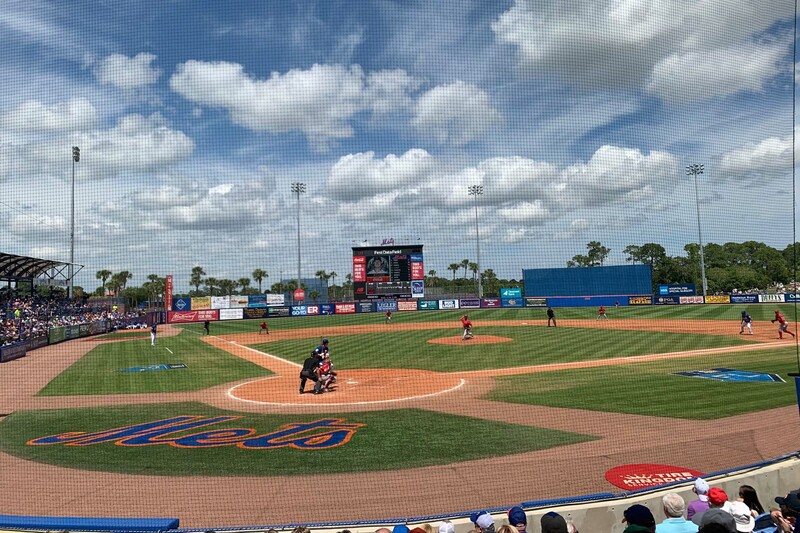 He and I were recently walking near the left field line of First Data Field in Port St. Lucie, the spring training home of the New York Mets, when two hulking baseball players came striding off the diamond and crossed our path. My heart fluttered, a fan of the team since I was six years old, I still can’t shake the childhood feeling of excitement at seeing a pro athlete, a guy from my team, in the flesh. I immediately recognized one of the two ball players as closer-turned-set-up-man Jeurys Familia, who recently resigned with the team. He looked up at us, returned the smile and flipped a baseball our way. The ball settled safely in my 11-year-old’s mitt, who—a bit in shock, I think—managed a polite “thank you” as the players walked on. Welcome to spring training: a Major League Baseball fan’s playground of pleasures big and small. This is not like going to a game at Citi Field in June when upwards of 40,000 or so other Met fans pack the stadium, and an average-priced ticket puts you in the upper deck straining to see the players moving around the diamond, resorting to glances at the scoreboard to pick-up the nuances of each play. In Florida, in May, baseball is an intimate affair. The stadiums are college-baseball small, and many teams open adjoining practice fields hours before game time to allow fans to get a glimpse of workouts and batting practice. And the players are chill: Focused on preparing for the season, but still comfortable indulging autograph seekers, or having a short conversation with a fan about the upcoming season. The memory of my first trip down in my 20s is a highlight of my many years watching the Mets (through thick and mostly thin), and I always knew I wanted to share that experience with my son, whom I’ve blessed—although my wife says cursed—with an appreciation for the orange and blue. This year, his birthday fell nicely on a weekend when they played at home in Port St. Lucie against divisional rivals the Washington Nationals and just a short drive away in Orlando against the Atlanta Braves. We had to make the trip. We started our 48-hour Florida Fun Fest (I’m trademarking that if it’s not already taken), in Orlando, a quick flight from NYC. You probably know what Orlando is best known for, and our Magic Village Yards condo was aptly named because it’s so close to Disney’s Magic Kingdom you could nearly touch it, and definitely see the fireworks over Cinderella’s Castle. Our duplex, three-bedroom accommodation was sleek and modern, with room for at least two other father-son duos, or a small army battalion. It also had a high-end resort-worthy pool where we lounged before making our way to nearby ESPN Wide World of Sports, another Disney owned property, where the Braves train (although they plan to move to North Port in 2020). A veritable theme park in its own right, the 220-acre complex has a baseball stadium, track, arena, tennis courts, and other facilities and hosts dozens of athletic events and championships. 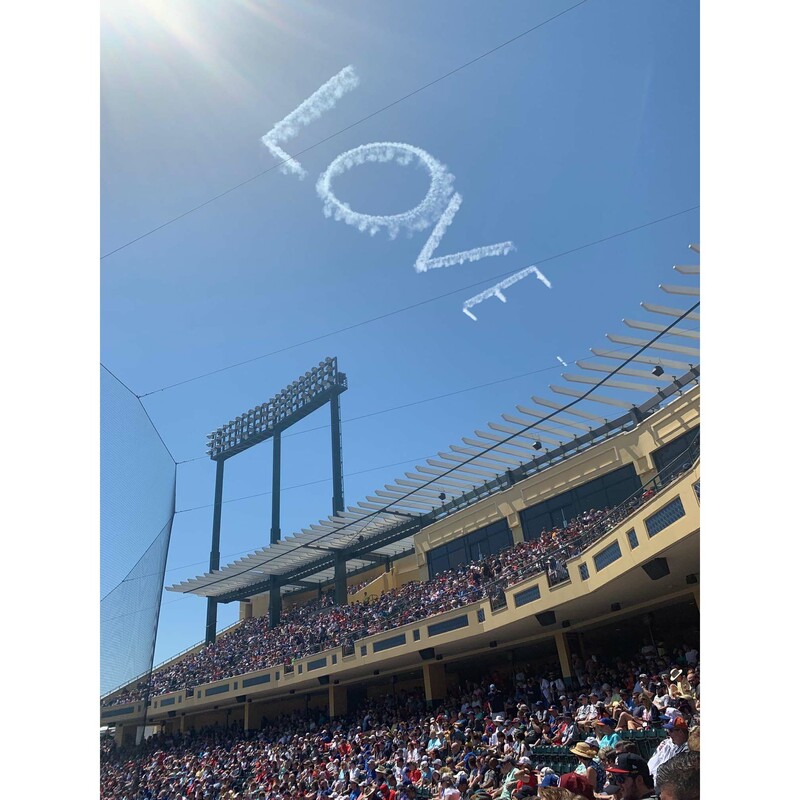 We made a beeline for the stadium and took our seats eight rows behind home plate and close enough to hear the ball pop in Mets catcher Wilson Ramos’ glove as last year’s Cy Young Award winner Jacob deGrom pumped fastballs by Braves hitters. My son marveled at the movement on his breaking pitches, not on the big video screen, but from about 100 feet away where we watched these major leaguers play a game that felt like it was in our own backyard. Our smiles were in danger of becoming permanently plastered to our faces due to a mix of joy and sunscreen. It’s immaterial who won (okay, the Mets crushed 12-2), but we levitated out of there and did what any sane person would do with a few hours to kill in Orlando—we went to The Wizarding World of Harry Potter. Now, if you’re here for the baseball, please forgive this brief aside. 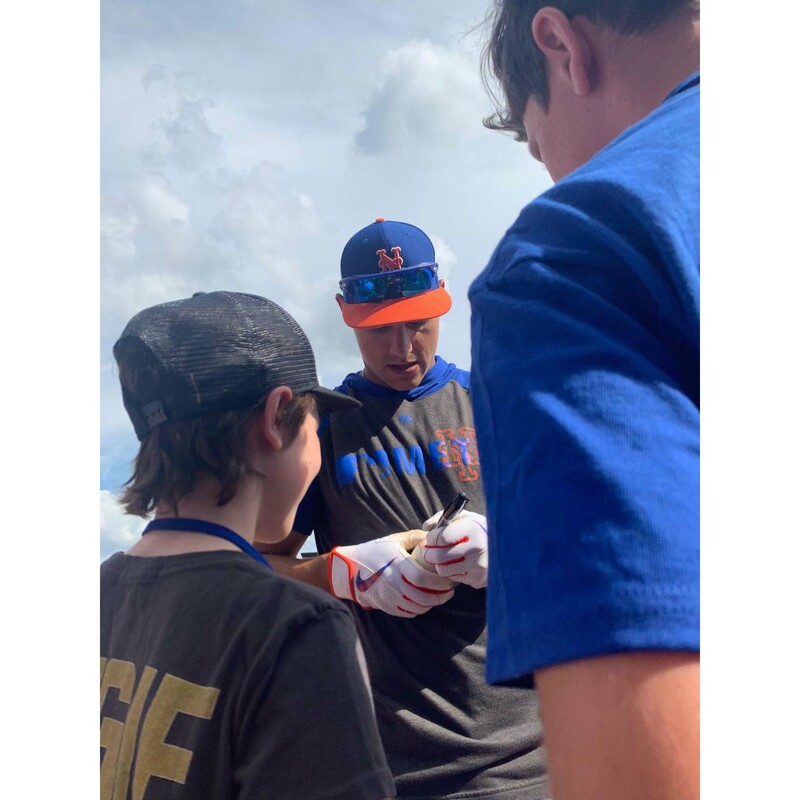 Second only to deGrom, Syndergaard, and Conforto for this 11-year-old are Harry, Ron, and Hermione, and the gravitational pull towards Universal Studios Florida, only 13 miles away, was too great. If you should ever find yourself in a similar situation, do not resist. It really was an incredibly immersive experience that even casual fans of the books or movies will love, and those a bit more invested will run around using an interactive wand to cast spells that, well, magically, make cool stuff happen, like the boy did. We also braved sizable lines (invest in the Universal Express Pass) to be tossed on virtual reality-meets-roller coaster rides like Escape from Gringotts, that are absolutely exhilarating (and only slightly terrifying to this coaster wuss). One criticism: Butterbeer is gross.